Many healthcare facilities, especially those caring for senior residents, are experiencing a shortage of certified nursing assistants (CNAs). In long-term care facilities, the retention rate is reportedly low due to heavy workloads, job injuries, lack of respect, and low wages. As a result, there are always open positions for new CNA graduates. Nursing assistant programs prepare students for an entry-level position in direct care. Students acquire a broad range of skills that will let them offer companionship and support, prepare and serve meals, assist with falls and ambulation and reposition patients, and monitor vital signs. They will also bath, dress, and toilet patients, report concerns to nurses or physicians, and answer call lights. 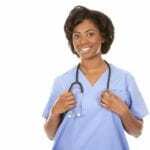 A nurse aide conducts these and other duties under the direction of a licensed nurse. Through their close communication with the patients, they may function as the eyes and ears of health care providers and relay concerns that impact the patients’ health and well-being. Although CNAs with no plans for further education are most likely to stabilize the workforce through employment longevity, those who plan to pursue a career in nursing get the greatest satisfaction from the role. Prospective nurses value the insight into patient care that their role as a CNA provides. 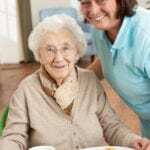 Additionally, they also benefit from the tuition reimbursement that most skilled nursing facilities offer to employees pursuing a degree in nursing. Tuition reimbursement varies from 50 to 100 percent of the tuition costs and may require some form of employment commitment after graduating from the nursing program. 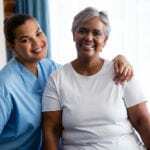 CNA training programs in Georgia and other states are valuable for the preparation of adults to meet the long-term care needs of aging baby boomers. The rise in cases of Alzheimer’s and other debilitating conditions places a burden on the health care sector to produce professionals who are capable of providing quality, direct care services. According to the United States Bureau of Labor Statistics, employment of CNAs is expected to grow 11 percent from 2016 to 2026. The CNA Training Program at IHCA covers the fundamental theories and clinical skills essential for direct patient care. After completing the 6-week program, graduates will be eligible to sit the Georgia state exam to be added to the Nurse Aide Registry. The 88-hour curriculum includes theory covering the background and scope of nursing and practical training that prepares students for the skills evaluation and reinforces the essential skills of an effective CNA. The first 60 hours of instruction will be completed in the classroom where students will learn human anatomy and physiology, infection control, safety and emergency procedures, vital signs, rehabilitation and restorative techniques, hospice care, Alzheimer’s care, observation and reporting, and range of motion exercises. The practical training includes 28 hours of supervised patient care experiences in a skilled nursing facility. Day and evening schedules are available. Daytime classes run for 6 weeks. Classes meet on Tuesdays, Wednesdays, and Thursdays from 8:30 am to 2:15 pm. During the final week, students will meet for four days from 7:00 am to 3:00 pm for the clinical experience. Evening classes meet four days a week for 8 weeks. Classes are Mondays through Thursdays from 6:00 pm to 9:15 pm. Clinical experiences occur during the last three weeks and meeting times are from 5:00 pm to 9:15 pm. Tuition for the program is $1,095 and includes one uniform, textbooks, CNA insurance for one year, and CPR and First Aid certification. The cost of the state exam fee, $112, is the responsibility of the student. Savannah Tech’s Nurse Aide Technical Certificate of Credit includes theory and practical instruction to prepare students for direct patient care in various medical settings, including hospitals, nursing care facilities, home health, and community health care facilities. Program graduates will be eligible to sit the Nurse Aide National Nurse Aide Assessment program (NNAAP) to demonstrate their competency for addition to the Georgia Nurse Aide Registry. Course modules include Introduction to Health Care, Diet and Nutrition, Nurse Aide Fundamentals, and Medical Terminology. Students must complete a total of 13 credit hours to graduate from the program. The duration of the program is two terms. Tuition for the 13-credit program is $1,461 and does not include the cost of textbooks, uniforms, and supplies.